PRAYER PROMPT ••• When Christians are young in their faith, the scripture compares them to babies. Babies are dependent upon their mothers for every need. Similarly, young Christians must be dependent on the Word, in order to feed their souls and grow in Christ. From personal experience, I promise that failure to be utterly dependent on Christ, is a set up for some hard learned lessons. Because it’s in our infancy — we learn to turn to Him for everything. Just as a baby learns he can depend on his mother for care, new Christians who invest time in the Bible learn to trust Him and learn about His promises. When we feed on the truth of His word, we grow, strengthen, and learn to fully appreciate the greatness of His love, sacrifice, and gift of salvation. As we grow from baby Christians to mature ones, we understand the necessity of scripture reading, prayer, and we begin to understand the character of God and who He is. Best of all, even mature Christians continue to grow. 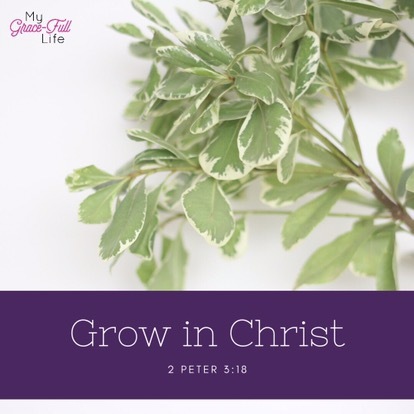 We grow in Christ and in the process, grow closer to Him. No matter where you are in your faith journey, pray today for utter, infant-like dependency of God’s word so you can grow in Christ and grow closer to Him.